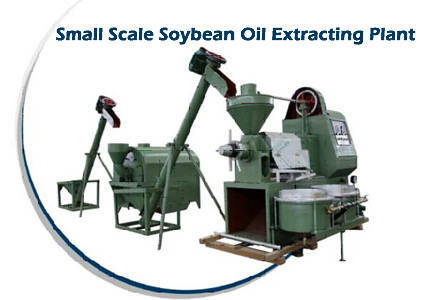 ﻿ Ever Think of Setting up a Small Scale Soybean Oil Extracting Plant? Want to know soybean oil extracting process, would like to start your own small scale soyabean oil extracting plant? Here is your right place to start! 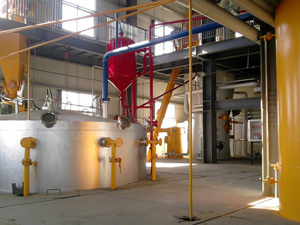 Production of high quality crude oil and meal is the main objective in soybean processing. For achievement, thorough knowledge of the technical system and disciplined operation are required. Soybean oil extracting beagins with soya bean seeds preatreatment with certain seeds cleaning equipment. For big scale plant, soybeans always need to be pre-pressed and then cut in flakes immerged with a solvent, normally hexane. Counterflow is used as extraction system because it gives the highest yield. After removing the hexane, the extracted flakes only contain about 1% of soybean oil and is used as livestock meal or to produce food products such as soy protein. The hexane is separated from the soybean oil in evaporators. The evaporated hexane is recovered and returned to the extraction process. The hexane free crude soybean oil is then further purified. 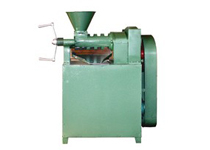 For small scale extracting plant, another small production line is feasible. If you just want to invest a small amount of money on soybean oil extracting, you can try the flollowing small scale soyabean oil extracting plant we newly developed. The small scale soyabean oil extracting plant is much easier operating, installing and commissioning and only needs small investment, fewer land space, but with the complete function of the production. Welcome to contact us just in the following form to get further info about soybean oil extracting, or you can choose our small scale soybean oil extracting plant to start your own oil making business. We are always at your service!